An entire Reddit thread popped up with people trading stories of where they were when they weren’t checking their email and subsequently preordering an SNES Classic the second it became possible to do so. 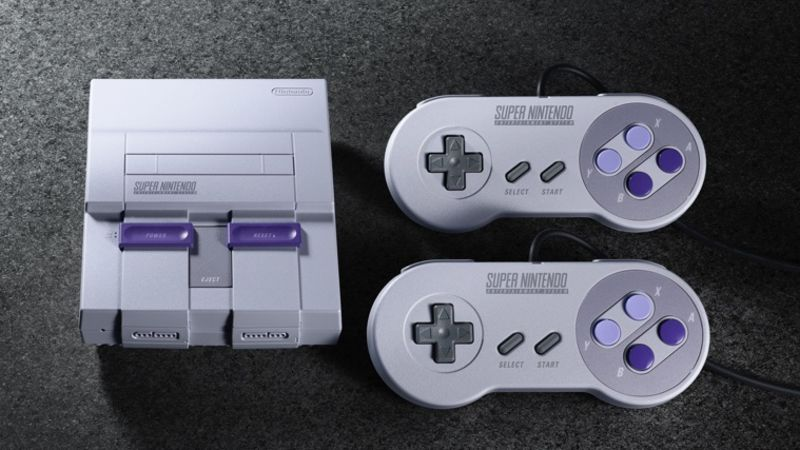 As if the absurdity of Nintendo announcing it would produce limited quantities of a small boutique device that would emulate ROMs of 21 old, beloved SNES games before it’s even started porting them to the company’s latest system wasn’t enough, Walmart had to go and begin accepting preorders, unannounced, late at night on a Friday. But this is where things started to get even more confusing. Starting early Saturday morning, several people started getting notices from Walmart that their preorders had been canceled, either due to allegedly incorrect payment information or other issues. An apparent screencap of someone’s conversation with a Walmart Customer Service agent started making the rounds, and appeared to indicate that Walmart’s preorders had gone live in error and that all of the ones which had been placed thus far would be canceled. Other people have claimed to speak with different store representatives and receive different answers. There are entire articles devoted to strategies for preordering an SNES Classic. That’s how high and intense demand is for it. Like those people felt waking up Saturday morning, no one wants to come back from dinner, or get out of a meeting, and find out that for the five minutes they were off living life every SNES Classic that Nintendo plans on making already sold out. People might be more chill about the whole thing if they didn’t have déjà vu from when Nintendo trotted out the NES Classic last year, another device that was in extremely high demand, with scalpers reselling them for hundreds of dollars above the retail price, and which the company decided to inexplicably discontinue earlier this year. The SNES Classic has an even better lineup of games, some of the best ever created, and will, when it arrives, be the cheapest, legal way to play them. Nintendo has said they plan to address the supply issues that plagued the NES Classic, but given the scarcity of Nintendo Switches several months after it was released, people could be forgiven for remaining skeptical. If history repeats itself then, you’re best bet of getting an SNES Classic this Christmas will no doubt be from some dude in the Best Buy parking lot selling for the same price as a new Xbox One X.